It was a dull autumnal day for my photo shoot in dad's garden this weekend, and with the cloud laden sky, was never very far away from a downpour. However, before the rains came, I hunted down a few bits and pieces worth pointing my camera at. 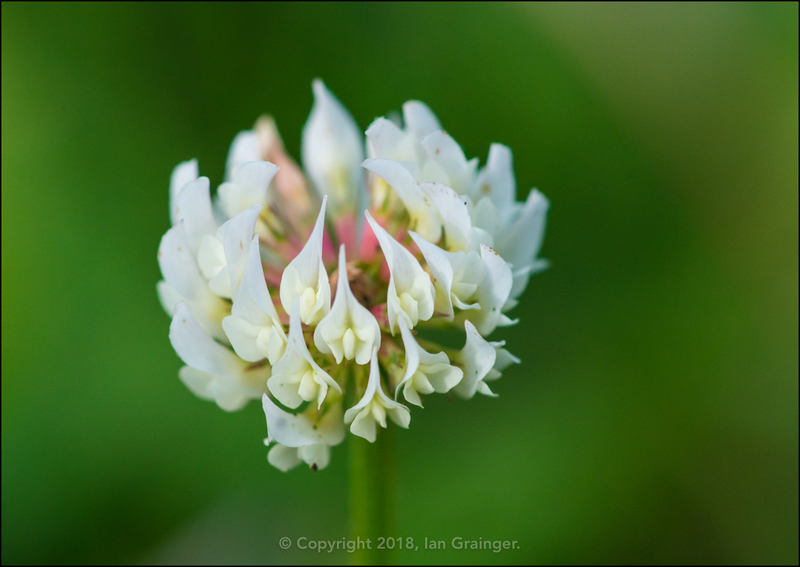 The first of these was this pretty little Clover (Trifolium) bloom. I loved how the petals looked like little flames surrounding the centre of the flower. 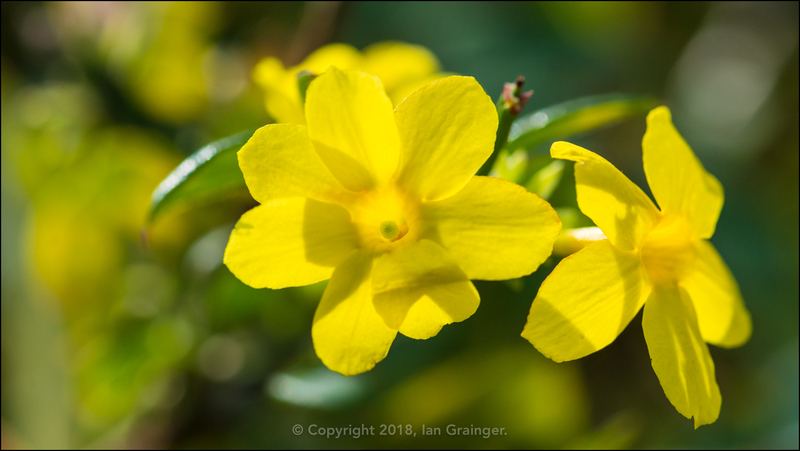 Next up I spotted the first few returning Winter Jasmine (Jasminum nudiflorum) blooms, which are always a welcome sight at this time of year, and brighten up whatever location they choose to appear in. 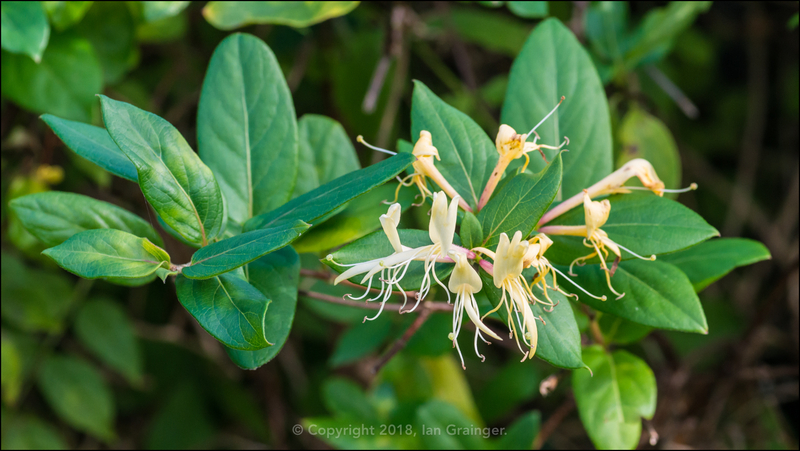 The Common Honeysuckle (Lonicera periclymenum) blooms were also doing their best to brighten things up, although not quite as spectacularly as the Winter Jasmine. 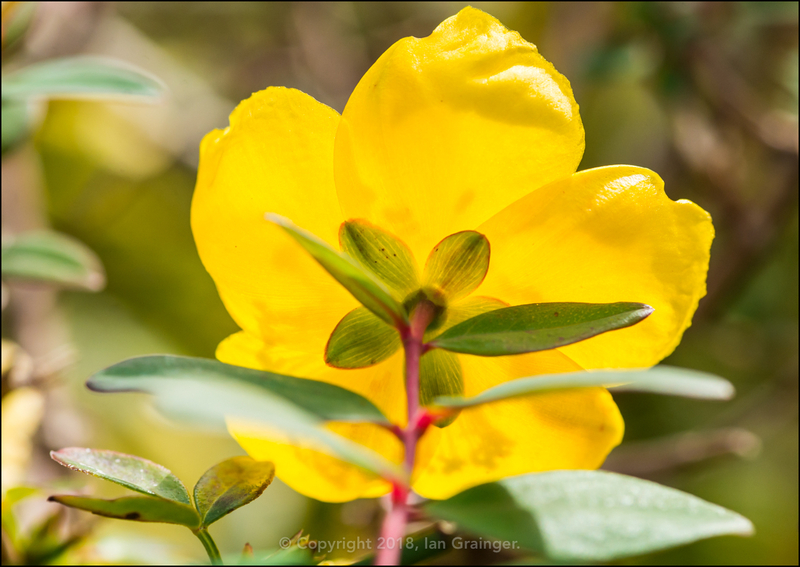 During a break in the clouds there was a brief outburst of sun, and it made the Hypericum bush blooms burst into life. 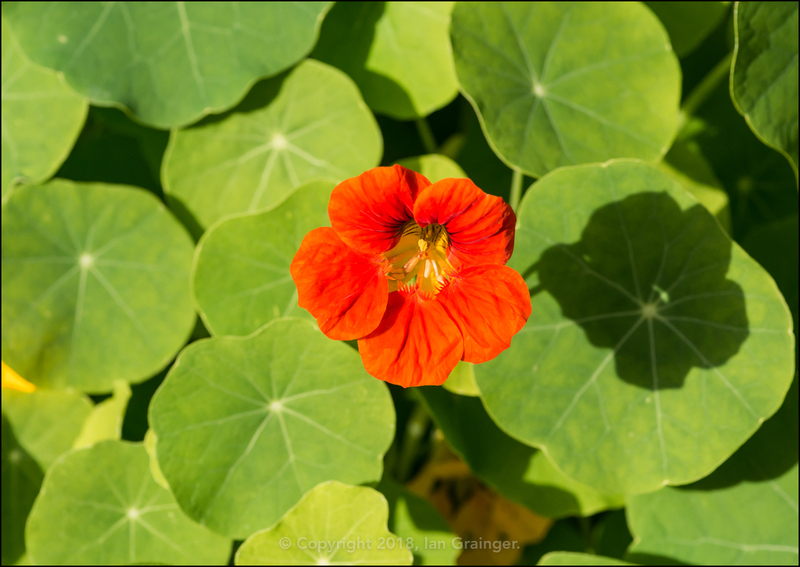 I also quite liked how the sun cast a shadow of this Nasturtium (Tropaeolum) bloom onto its leaves. 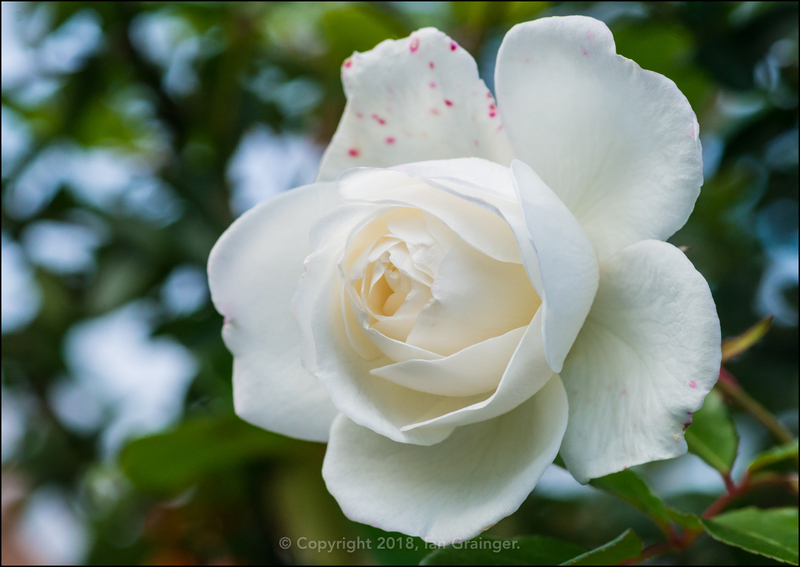 The sun soon disappeared and left everything looking a little flat again, although it couldn't dampen the beauty of this pretty white Rose (Rosa). 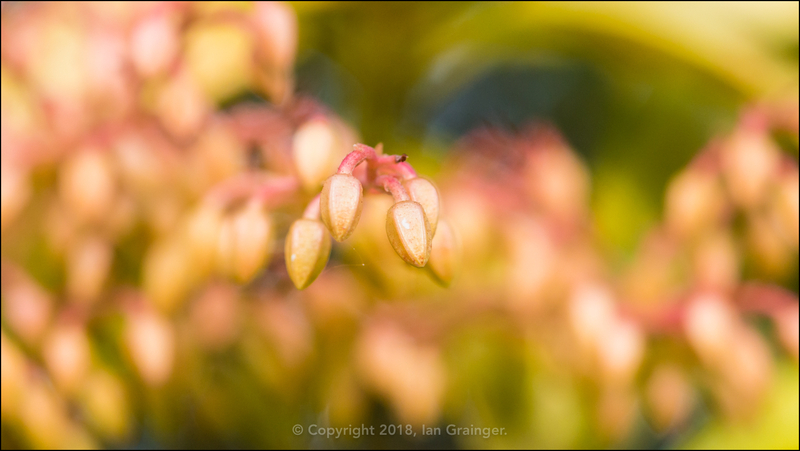 I was still hoping to get a second flush of flowers from the Forest Flame (Pieres) bush, although with the first frosts imminent, I was getting less hopeful by the week. 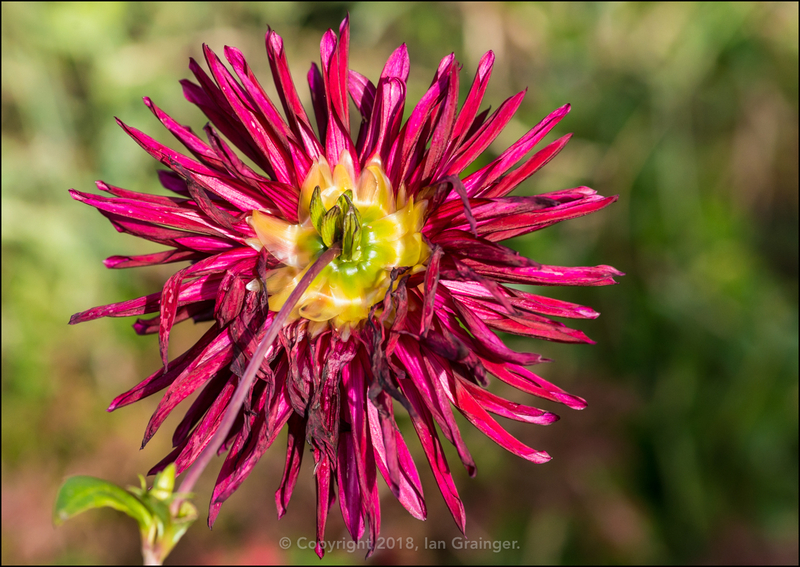 The Dahlia 'Nuit d'Ete' blooms had already been effected by the wind earlier in the year, and were now succumbing to the cold, which was shrivelling up their petals. 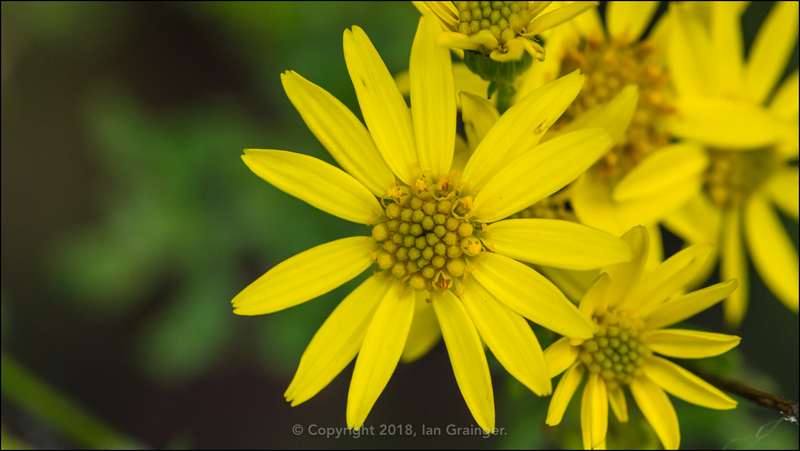 There were still a few Ragwort (Senecio) blooms hanging around, although the insects that were feeding from them had long since disappeared. 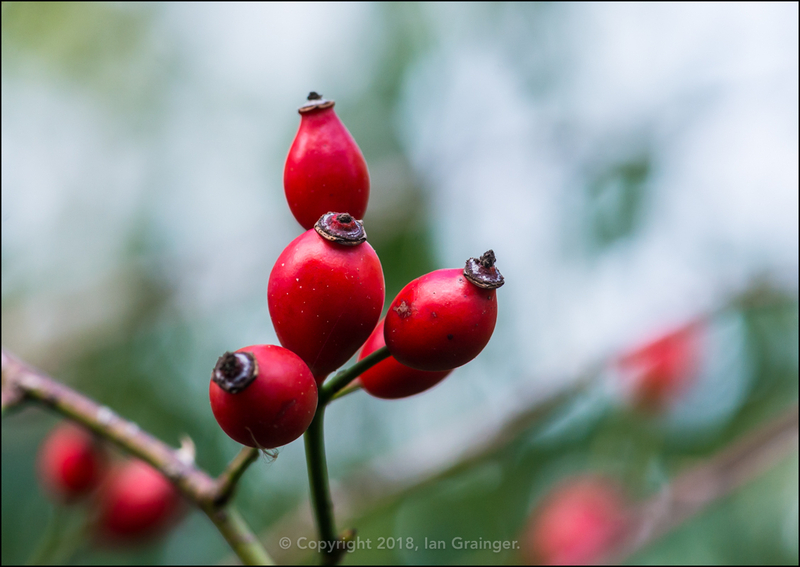 There were quite a few berries already present in the garden, and these were joined by some Rosehips this week. These were from a climbing Wild Rose. 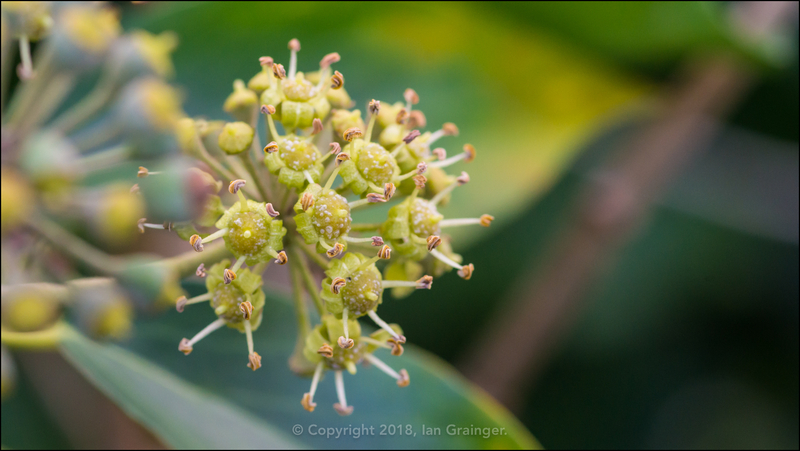 The final thing to catch my eye in the garden were these Common Ivy (Hedera helix) berries starting to form. I liked how you could still see the stamen that were left over from the flowers of a few weeks ago. So to my fishy friends, and a one from over 14 years ago! When I got the bug for tropical fish keeping over 25 years ago, I jumped straight in and started buying fish before doing much research on them. Of course, the world wide web wasn't around then, so research was done by talking to shopkeepers, fellow hobbyists and reading whatever literature was available, which wasn't easily found. 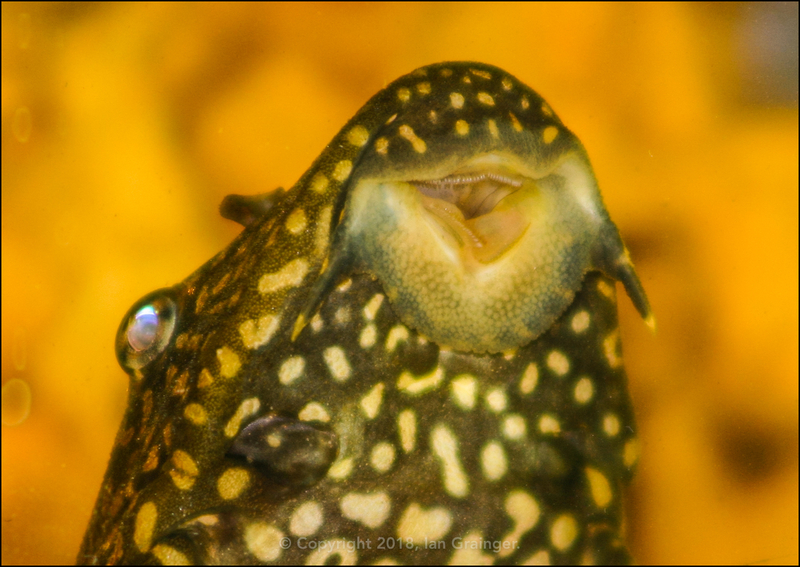 That is how I ended up with this magnificent creature - a Common Plecostomus (Hypostomus plecostomus)! He was only one inch in length when I bought him, and he did a great job of cleaning algae off the aquarium walls. Just look at those teeth used to rasp at surfaces containing delicious morsels. He started off in a two foot long tank, but quickly grew to six inches in length, so was moved to a three foot long tank, where he quickly grew to ten inches in length. I then moved him into a four foot long tank, where he eventually attained a length of over twelve inches. However, he would eventually grow into a twenty inch long behemoth! So, sadly, I had to have him re-homed as I had nowhere suitable to keep him. I still see these cute little tankbusters being sold nowadays, which is really sad as most people haven't got the facilities to look after them properly.